Whatever its latent defects, one would have to agree that an important part of our Parliamentary health is derived from our Independent Senators. At this time, with national concerns on constitutional reform looming large, it is vital that we have a vigorous, outspoken and articulate cadre of Independent Senators. It raises serious questions as to process that our President was able to use his power to nominate Mr. Annisette. 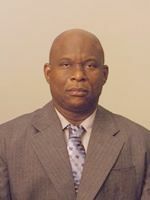 Of course one expected that Mr. Annisette would have resigned his Directorships of those State enterprises before his swearing-in as an Independent Senator, but that is the central issue. We were then being asked to accept that an individual who was loyal to the party in power, to the extent of gaining those sought-after appointments, would have, upon taking the oath of office, become an Independent Senator. Even a tolerant nation such as ours has its limits. I recently read a story in the Express of 29th December headlined ‘Independent Senator resigns as EBC commissioner’ and the first paragraph deserves repetition – “After accepting the President’s request to serve on the Independent Bench in the Senate, Independent Senator Corinne Baptiste-McKnight has resigned as a Commissioner on the Elections and Boundaries Commission.” Imagine that. The Chairman of the EBC, Dr. Norbert Masson, was quoted as saying “She did the right thing”. We are witnessing the slow erosion of unwritten standards of public life in so many worrisome ways and here is yet another such. We are now being asked to believe that it is possible for an individual to serve on the Board of 3 State-owned companies and also serve as an Independent Senator. The Express story mentioned above states that Mr. Annisette was still a Director of those State-owned companies. There has been no denial, retraction or correction to my knowledge. This is an utterly unacceptable state of affairs in my view. Consider the nature of the Independent Senators in our Parliament. Andy Johnson wrote a column entitled ‘One of the President’s men’ in the Express of 20th December 2007 and it makes interesting reading since he mentions that a known CoP supporter is now amongst the ranks of our new Independent Senators. Johnson did not name the person but said that the other 2 parties in the Parliament knew of his affiliation and hinted that this could become controversial. Given the way in which distractions are used in our country, we need to reflect with the necessary degree of seriousness on all this to properly distinguish these 2 cases. The lower House of our Parliament is made up of Members elected nationally. The upper House is comprised of the Senators selected by the PM, the Leader of the Opposition and the President. They are allowed to nominate sixteen, six and nine Senators, respectively. The party in power and the opposition are represented in both Houses of the Parliament. But our constitution implicitly recognizes that these 2 elements alone cannot be enough, hence the third group of Senators we have come to call Independents. For our President to nominate a Senator who comes from within the ranks of PNM or UNC loyalists seems contrary to the spirit of the constitution. In contrast, the ranks of our Independent Senators is an appropriate place for supporters of ‘third parties’ together with other matured, expert and committed citizens. We expect our Parliament to be a place in which major policy issues are debated and settled, but the reality is much different. The decisive issue here is whether we have the vision and will to stop practices which further dilute the authority of our Parliament. It would be wicked to repeat here the scandalous suggestions I received in discussing this question with various people. Out of some latent regard for the little respectable that is left, I will just say that there are still ways to deal with this unpalatable situation. The President’s selection of Mr. Annisette was questionable. For an Independent Senator to continue in his roles as Board Director of 3 State companies is completely unacceptable. Due to the constitutional immunity extended to that office, it is impossible to legally challenge any of the President’s decisions, so one is forced to take action in the Court of Public Opinion. Our President should himself take the necessary corrective action now. He has the power, under Section (43) (2) e of our constitution, to declare Mr. Annisette’s seat vacant. The silence of the UNC-A and CoP on all this is damning. It would be interesting to see what views are expressed by other concerned citizens. The peril we face is Civil Obedience. Public apathy and cowardice are as corrosive to the health of our Republic as the menace of crime.